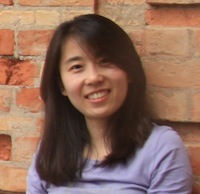 Bi Li (李碧) is recipient of the Chinese government award for outstanding self-financed students abroad, edition 2014, for her PhD thesis entitled “Tree Decompositions and Routing Problems“. Congratulation ! More details can be found here and here (in chinese). Awards, PhD & HDR. Bookmark.